This week Moscow's Garage Museum of Contemporary Art opened applications for its annual scholarship programme for young Russian artists. 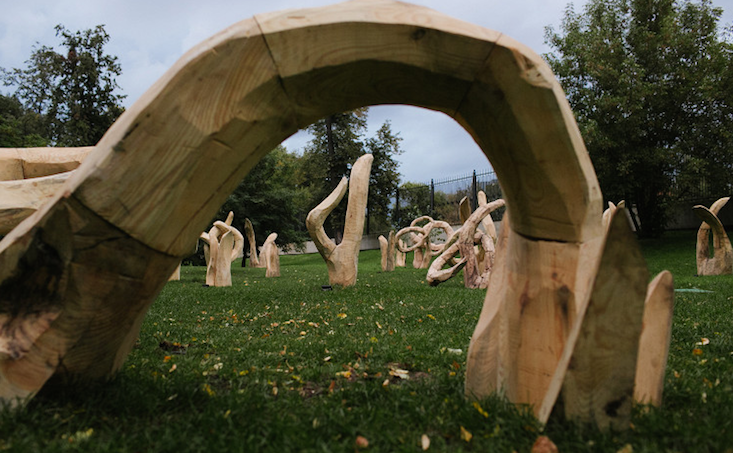 Open to artists aged 18 — 35, this year the programme has two streams: a scholarship for artists working in the field of contemporary art, and a special grant in collaboration with the international Signet Land Art project for artists to create land art objects for Gorky Park. Applications are open until 1 October, after which point an expert jury will select the successful candidates. Recipients of the contemporary art grant — the number of which is not yet known — will be paid a monthly stipend of 30,000 rubles ($504), in addition to being able to attend all exhibitions and educational programmes at Garage free of charge. The winner of the land art scholarship — to be chosen by Anton Belov and Marina Lyulchuk, the director of the Garage Museum and Gorky Park respectively, as well as the marketing director of Moët Hennessy in Russia, Svetlana Stishkova — will receive equal funding, as well as a paid trip to Scotland. According to the organisers, the Garage scholarship programme aims to help young artists gain financial independence and thereby contribute to the development of contemporary art and culture in Russia. Find more information on Garage's website (in Russian).